My name is Emiko. I am a licensed national tour guide for Nikko. I am excited to share my love for the breathtaking beauty of historical site, Nikko, with visitors from overseas. As a local guide, I will make your trip enjoyable and memorable. For most tourists such a trip would be a once in a lifetime occasion, so I hope you will have a joyous experience. I have many plans. The most popular tour is a walking tour around the World Heritage Sites, the Shrines and Temples of Nikko. 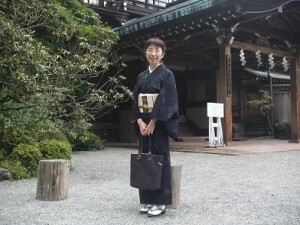 However, if you are interested in wandering around this site wearing Kimono, I can help you to arrange that for you too. 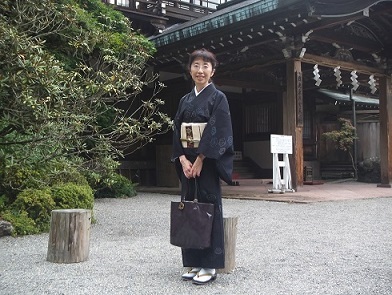 If you would like to slow things down to saunter for a while amid a whirlwind tour, I recommend you to have a “washoku” lunch at a traditional elegant Japanese restaurant. I am happy to help you customize your own Nikko tour using my local expertise. Through my guided tour, I wish to deepen your understanding as to the roots of Japanese culture, which embody “respect for nature”.